When a severe storm tore through Kansas, causing damage to our Maize Cylinders facility. Winds topped out at 89 miles per hour in Wichita, located just southeast of Maize, knocking out the primary pole that supplied power to the facility. The first shift maintenance team was called in at about 5 a.m. on Good Friday to begin assessing the damage to the facility and surrounding property. A roof had been torn from one of the buildings, landing on the perimeter fence. The entrance gate to the north of the property was mangled so badly that it could not be opened. Duct work from the cylinders filling process building was torn from the roof, two overhead doors were blown into the facility, two flag poles were bent over -- blocking the exit gate, and two empty trailers were knocked over. The maintenance team gave up their holiday and worked from 5 a.m. until 7 p.m. to ensure the repairs were made and that the furnaces were ready to run again Monday morning. Because of their efforts, the facility was back up and running production on Monday morning. The team showed dedication to our customers by exerting every effort to see the customer's quality and service requirements were met. They also showed dedication to our first corporate goal: to earn money for our shareholders, by ensuring the facility didn't lose productivity. 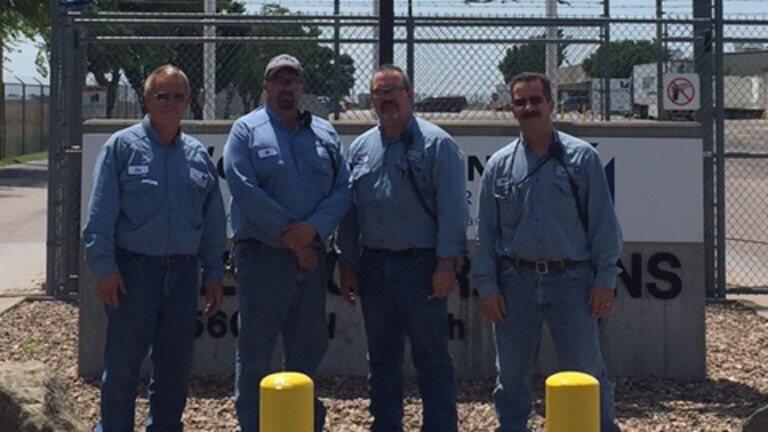 A job well done by the first shift maintenance team in Maize, Kansas! When most of us think of life-saving super heroes, we envision masked, caped crusaders and comic book characters. Lucky for us, there are everyday super heroes right here at Worthington. 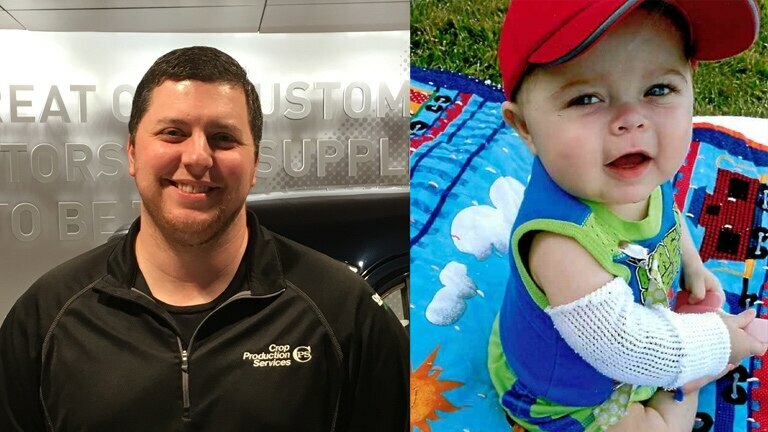 For one little boy and his family, that hero is Dustin "D.W." Davis, maintenance technician at Steel Columbus. Lucas Roll, son of Justin Roll, a Tandem Mill operator at Steel Columbus, was diagnosed with the life-threatening condition biliary atresia when he was just two months old. His condition led to the need for a liver transplant. "I work with Lucas' grandpa and could see how much the family was hurting," said D.W. After hearing they were having trouble finding a donor, D.W. got tested. "He went out of his way to call every hospital, find the right one and determine what he needed to do to be eligible," said Lucas' dad, Justin. After two days of testing with nine doctors and specialists, D.W. learned that he was a match. In June 2015, he underwent a six hour surgery at University of Pittsburgh Medical Center, donating 25 percent of his liver to Lucas. Prior to Lucas' transplant, he rarely smiled, laughed, ate or slept regularly. Today, the 1-year-old is doing well. D.W.'s biggest fear throughout the process was about the liver not taking "I just didn't want to let the family down." Like most super heroes, D.W.'s a humble one, not accepting much credit for his life-saving actions. There's a "feel-good" factor to Our Philosophy. Maybe it's the Golden Rule, or maybe it's just that something special that cannot accurately be described in words alone. Corporate Accounts Payable (AP) Manager Josie Lewis experienced this recently when she gained her U.S. citizenship. A native of Brazil, Josie has been at Worthington for three years. She said one of her department's goals is to build a strong team environment. On June 10, she felt that team camaraderie firsthand. On the 10th anniversary of her move to the United States, Josie officially became a U.S. citizen. 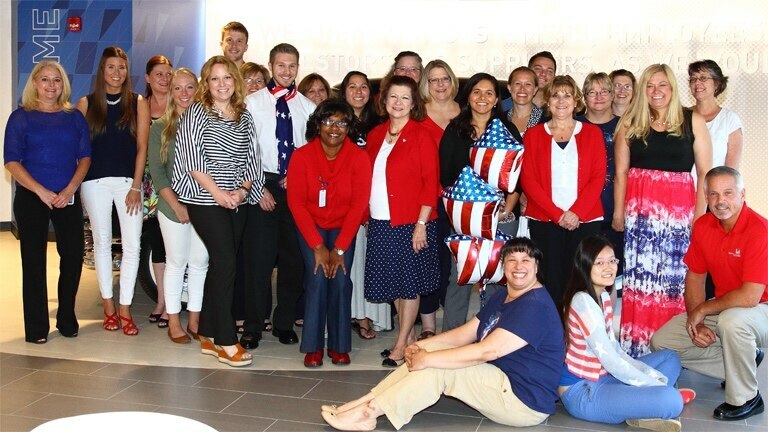 "When I got to work, not only was my desk covered with patriotic gear, everyone from my team was dressed in red, white and blue to show their support." "I was truly touched by their gesture. It really is like a second family, everyone has been so welcoming and excited for me." Along with her coworkers, Josie said the Company was also extremely accommodating when it came to completing her citizenship requirements, including interviews, an exam and ceremony. When it comes down to it, it's about the people. Josie said, "That's what makes Worthington so special to me."